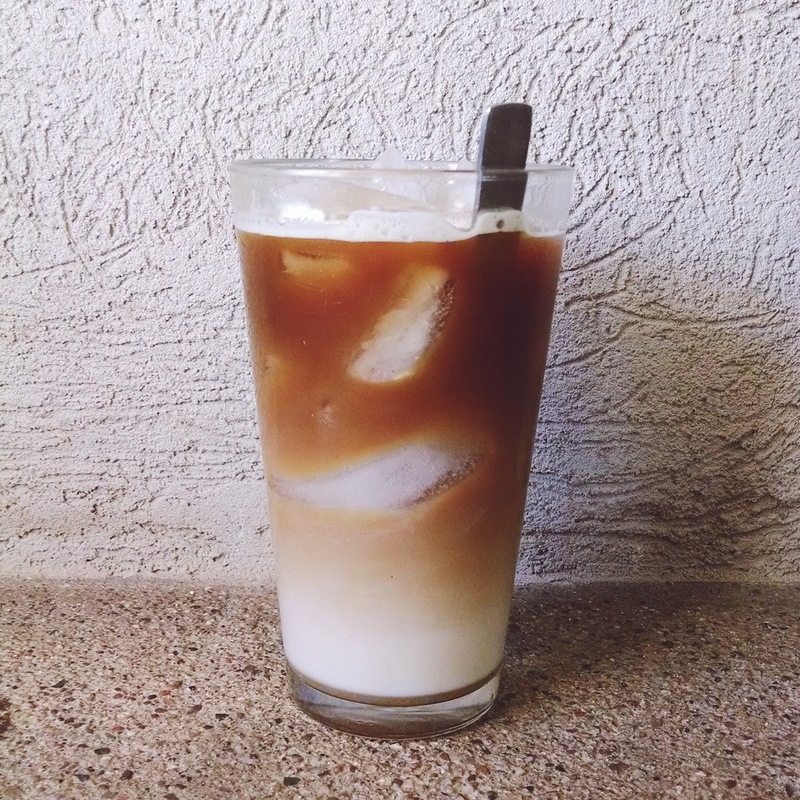 I mean, don't get me wrong, I know what's in an iced coffee (coffee, milk, ice, sugar), but for whatever reason I never put two and two together and realized that I have all of those things in the kitchen. I guess I just assumed barista held some magical power over the yumminess of iced coffee, haha. So feel free to laugh at me because I have been laughing every time I make myself a glass (which has been just about every other day BWAHA). I think the best thing about this whole embarrassing thing is that I now know how to make one amazing vanilla iced coffee. Please tell me you all have a had a moment like this so I am not left embarrassed all by myself haha. Haha! That SO funny - you made my day :) And iced coffee is so yummy. Yesterday I drank tree of them. And do not worry, you're not the only one having aha-moments every once in a while. Hahaha, too good! We all have these moments. That iced coffee looks yummy, by the way. Will you be sharing how you made it? When I worked at Starbucks, we had a certain package for the iced coffee, I think it was way stronger coffee, taste-wise. I haven't figured out how to do it at home! This is so funny. My step-mom makes iced coffee at home all the time. You could just brew it with more coffee to less water for it to be stronger, that way when you ice it down it doesn't water it down as much. That's pretty hilarious - sometimes the most obvious solutions are the ones that we don't even think about. I actually just starting brewing iced coffee at home not too long ago, so I feel for you haha. ha! I have these moments all the freakin time. You know what I like to do? Make coffee ice cubes. Then use those in my iced coffee. SO ready for those this year! I love that I finally realized I could too! I don't think it's that embarrassing. As a batista I have to say that is what they want you to believe. I hear all the time people say that for iced coffee you have to do a special slow cold brew system. It's so silly. Sure it may taste better but that equipment is really expensive and is a long process. When you just chill some coffees In the fridge is almost as good and honestly most people cannot tell the difference. Only top I have would be to when you brew coffee for iced coffee it is better with a darker roast. Haha I still feel like baristas hold some magical power! I can never get mine to be the same yummy taste but more power to you for your aha moment!